Lewis Hamilton may take his 4th world F1 championship title this weekend if he wins Sunday. 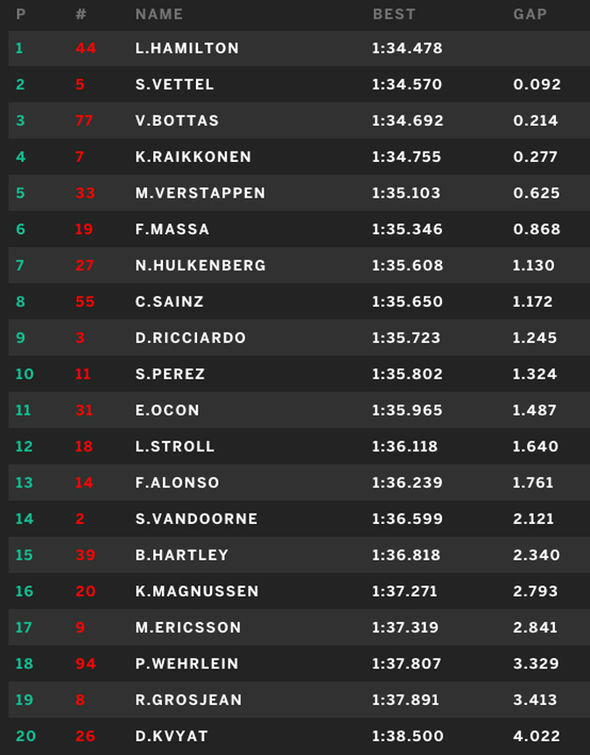 But, to do so Ferrari’s (NYSE:RACE) Sebastian Vettel has finish no better than 6th. Mr. Hamilton did post the fastest lap of the F3 session Saturday edging Mr. Vettel by 9/100ths of a sec. Thus, putting he and Mr. Vettel neck and neck and closer than he has been all weekend, The gap Friday had been as much as 1/2 sec. Red Bull Racing’s Max Verstappen looked quick Friday but struggled on Saturday, and finished well behind both the Ferraris and MercedesAMGs.